Academics who signed a pro-peace declaration earlier this year and an atheist associate professor are among 2,346 academics who were removed from their posts due to their alleged links to the faith-based Gülen movement. In line with a recent decree issued under post-coup-attempt emergency rule, the Turkish government dismissed 50,589 civil servants including academics and banned their employment at any state institution. The names of the dismissed civil servants were published in the Official Gazette on Thursday. Nineteen academics at Kocaeli University who were among the more than 1,000 signatories of a peace declaration released in January turned out to be among the dismissed academics. The declaration was prompted by clashes between government forces and the terrorist Kurdistan Workers’ Party after a cease-fire broke down in July 2015. Many of the academics who signed the declaration faced legal action, some were removed from their positions and some were even arrested on terrorism charges. The government accused them of disseminating terrorist propaganda. 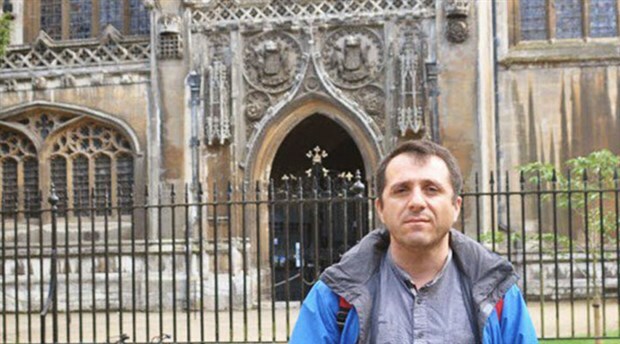 Associate Professor Candan Badem, who was teaching in the history department of Tunceli-based Munzur University, was also among the academics fired under the new government decree. Badem came to public attention last month when he was briefly detained for links to the Gülen movement. However, the academic said he was an atheist and Marxist and had nothing to do with the movement. Despite his denial, he still lost his post at the university. “Good morning. With the decree today, they also dismissed me from my post. There is no evidence but a judgment against me. This is Islamic fascism,” he wrote from his Twitter account on Thursday. Turkey survived a military intervention on July 15 that killed over 240 and wounded more than 1,000 people. Immediately after the coup attempt, President Recep Tayyip Erdoğan and the government pinned the blame on the Gülen movement, launching a massive purge across Turkey. A total of 41,407 people have been detained and 22,198 arrested since the putsch so far. Prior to the new decree, 86,000 people had already been either sacked or suspended from within state bodies. While it is yet to be determined if the midnight decree implicated only those people who had already been suspended, it is believed to have increased the total number.